I am generalizing geological maps and as a part of the process I am dealing with "Island Polygons". For that, I first need to identify them or select them. I already tried Select by Location, by creating another layer from the same layer and used intersect the source layer, which select not only island polygons but polygons which touch the polygon also. 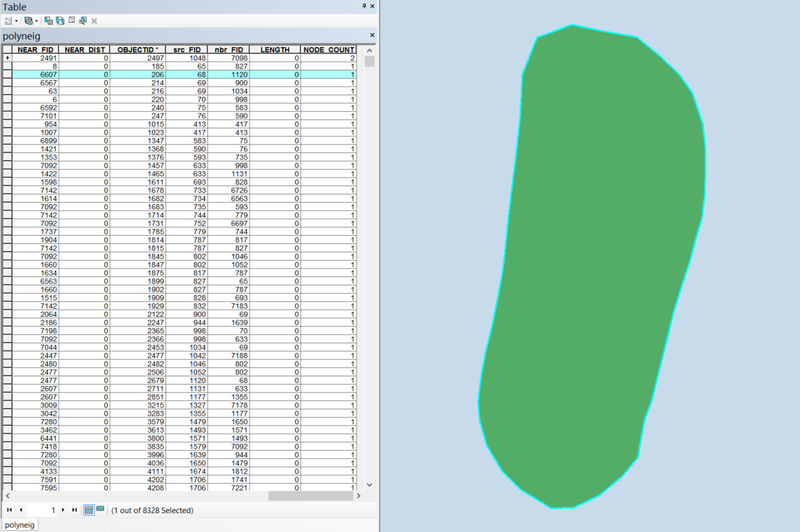 How do I select only Island polygons which are surrounded only by one polygon? This script will interrogate the WKT makeup of the geometry and if the geometry has a hole will fill it in. The output is a feature class with filled-in polygons only, only those that had holes in the first place are copied to the new feature class. You can then use Select By Location to find polygons in your original dataset that are completely within the new filled feature class. This has worked for me but I knew my data had no multipolygons, each feature was a single polygon (you could remove multiparts or explode to achieve this), also if a polygon was within another polygon it was an island and it didn't just sit on top of another polygon. # this is where your dataset resides, change path between ""
new_wkt = value[0:pc_index+1] + "))"
Load all that up into a geodatabase and then set up a geodatabase typology to test for the line rule Must Not Overlap. This would identify and select up lines that overlap, so your outer boundary of your island overlapping your inner boundary of the surrounding polygon? You can try to select objects in layer which have no intersection. Not the answer you're looking for? Browse other questions tagged arcgis-desktop donut-polygons or ask your own question.